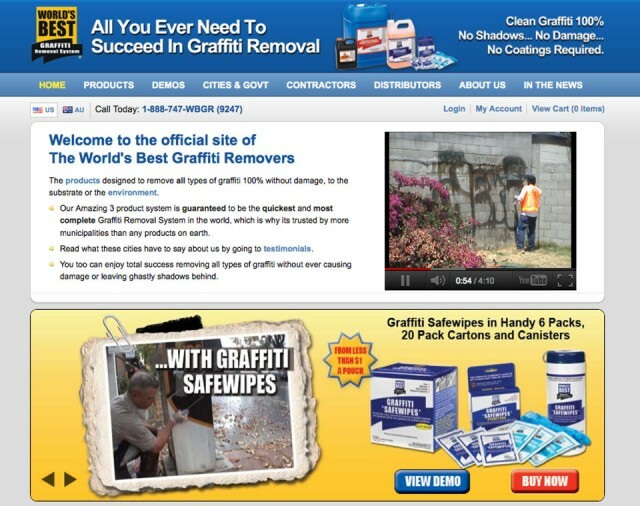 We built the website for World’s Best graffiti, an Australian originated company taking on the world, almost literally. Splash has provided strategic advice and marketing support as well as create an e-commerce website to inform, educate and ultimate sell product. The design of the site was integrated with a shopping cart system that is extremely user friendly.